High end housing scheme featuring six homes on a former landing for ships carrying explosives for the mining industry. Dynamite Quay, also known as Lelant Quay is currently a privately owned 1ha level brownfield plot of land located on the foreshore of Lelant within the Hayle Estuary. The site is raised up and bordered by a concrete wharf, with historic iron moorings for ship building site, with spectacular views across Hayle Harbour. 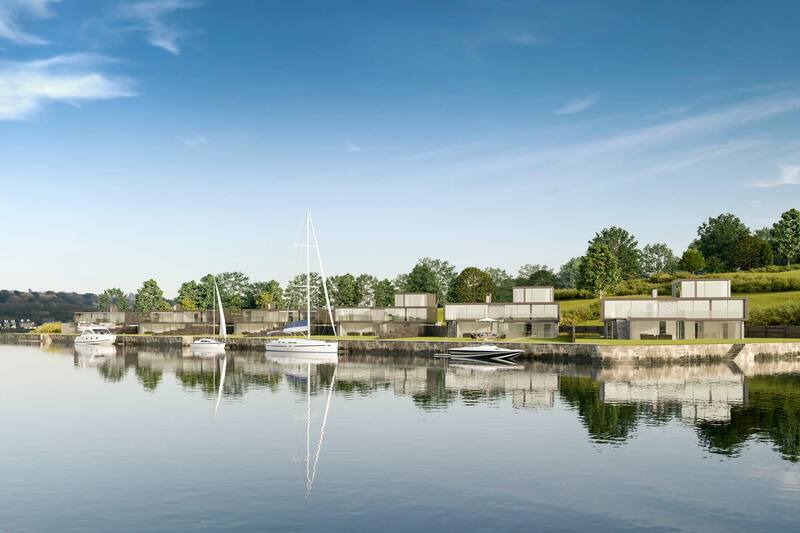 The proposal is for a high quality and innovative low-density development of 6 new detached family homes, sympathetic and low-impact to the character of the site, its setting and bringing the wharf back into use.